Composite panels are quick to install and ensure your roof space is watertight, regardless of size or dimension. Our high quality composite panels, offered in conjunction with industry-leading Kingspan Panels, present a cost-effective, durable roofing solution for your business premises. If you’ve got a particularly large roof area that needs to be made water-tight quickly, then composite roofing panels are the ideal solution. Using cut panels to cover the roof, our composite roofing system is easy to install, saving on labour and time spent on site, which means greatly reduced costs for your business. In addition to our expertise in single ply roofing, we also specialise in composite panel roofing systems. 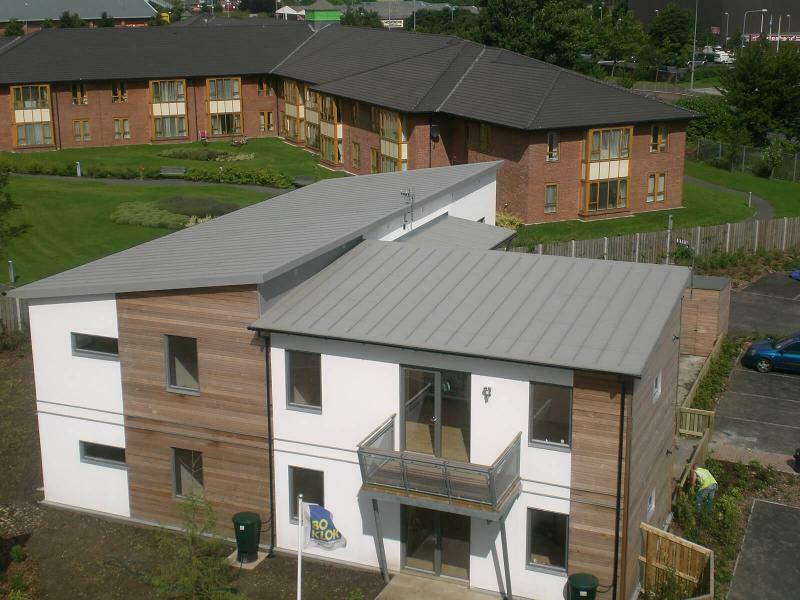 We’re partnered with Kingspan Panels, who offer a large range of composite panel options, from Topdek to KS1000 RW, and even a standing seam option with Kingzip. Kingspan insulated panels are used within buildings across a broad range of non-domestic sectors. Their flexibility, range of options and excellent thermal and fire performance qualities mean that buildings of all styles, sizes and uses have been built using our wall and roof panels. The benefits of our panels are that they can be integrated into traditional construction projects and also different panels can easily be used together on the same project to achieve a certain look or fulfill a particular purpose. IPS Group work in partnership with Kingspan Panels; and offer a wide range of composite panel options, including Topdek and KS1000 RW. The standing seam option with Kingzip is also available. Composite panels are designed to be integrated into your existing structure, with minimal disruption. Additionally, the panels can be mixed and matched to create the desired effect. The technical design of the composite panels ensures that the roof area is completely watertight, and resistant to even extreme weather conditions and rain pooling. The panels are already prefabricated, which reduces on-site installation time. This in turn reduces costs, without compromising on the quality of the roofing materials. As a result, it’s an attractive option for businesses of all sizes. Kingspan composite panels offer a high level of durability and protection; and have top thermal and fire retardant rating. Additionally, they can be used alongside solar PV panels, transforming the roof into an energy-producing asset for the company. If you’d like to find out more about IPS Group’s range of composite panels, or want to book a free consultation, simply get in touch with the team today.